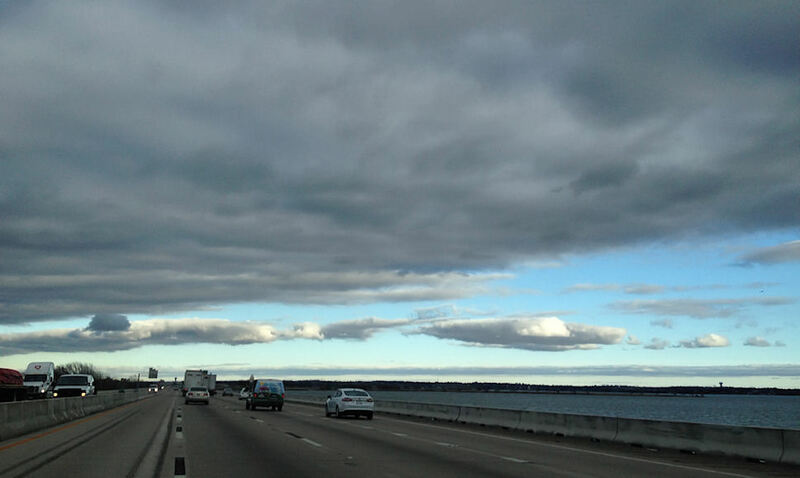 The rain cleared out yesterday morning, but I'm not sure if the clouds were moving out or moving back in. Its supposed to get cold and wet tomorrow afternoon. This is an iPhone shot traveling on I-30 across the Lake Ray Hubbard bridge during rush hour while driving, drinking, texting and talking on the phone . Catch other Skywatch Friday sites here.